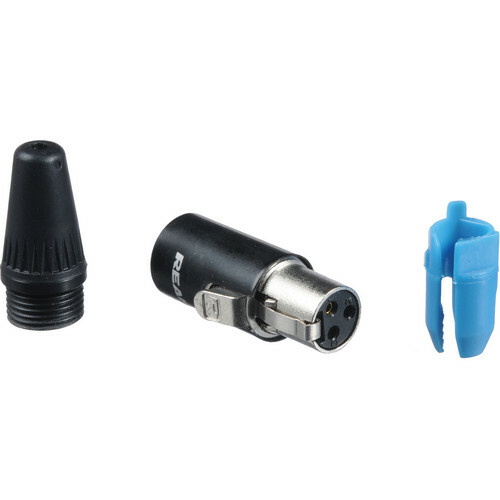 The Rean RT3FC-B TINY from Neutrik is a cable connector with a 3-pole mini XLR female connection point. It's easy to assemble and offers a simple locking mechanism for an added measure of connective security. It also boasts high-noise immunity and EMI protection due to its shielded construction. The RT3FC-B utilizes a black metal shell and gold-plated nickel contacts. Keyed insert and strain relief helps you avoid improper rotation with the cable you're using in conjunction with this connector. Box Dimensions (LxWxH) 5.3 x 2.5 x 0.45"
RT3FC-B 3-Pole TINY XLR Female Cable Connector is rated 3.7 out of 5 by 6. Rated 4 out of 5 by Homebum from quality as expected These connectors are pretty straight forward T3 mini xlr connectors. The soldering leads are close together, like all small connectors, so make sure you have skme soldering skills before attempting to build your cables. I give 4 stars only because the hard plastic piece that fits over the cable lead is too tight to let shrinkwrap pass through.i had to cut the end off to pass the wire. Also keep in mind that these are typically for thinner wire guage around 22, not for regular mic cable diameter. Rated 4 out of 5 by Chris from Make sure to have proper gauge wire or will not work Standar mic cable will not fit, at least 2 of the wires I initially try, but luckily had a third thinner wire to use. Rated 4 out of 5 by Corey from Good stuff Works great. Turing them in to low profile ta3f.